Whether you are a seasoned runner wanting to improve or a newbie starting out, there are some tips and tricks to successful, pain free running. Increase your odds of having your best run by learning how to care for your body with nutrition, mobility work, strengthening techniques, self myo-fascial release and a flexibility practice. First, let go of expectations and comparisons. We all start running for different reasons: to lose weight, increase cardiovascular endurance, spend time with friends, spend time alone, and experience the great outdoors to name a few. Be conscious of any expectations or temptations to compare yourself to others and let it go! Focus on being the best at your personal abilities and progress. It’s empowering to beat your personal best and then when you’re ready, challenge a friend to some friendly competition. Hydration: Having a daily habit of drinking optimal amounts of hydrating fluids will increase your ability to run healthfully. The Mayo Clinic has a great article with detailed recommendations if you want to get technical. A quick rule of thumb is to drink half your body weight in ounces or liters. In other words, if you weigh 150 pounds, divide 150 ounces in half (75 ounces) and drink that much daily. Focus on water as your main source, especially the day before and throughout the day of your run. When running, your needs will vary depending on how much you sweat, how often you need to pee, your body composition, and the weather. Camelbak has a fun hydration calculator to help you determine your needs during many different activities, including running. Save electrolyte beverages for long or extreme heat runs. I have found that I don’t need water until about 45 minutes into a run if I’ve prepped properly. After an hour, my body responds well to adding an electrolyte beverage. Since the composition of these beverages varies and individuals respond differently to their ingredients, be sure to try several on different run days when you’ll be on a route with available restrooms. Gatorade causes me severe gastric upset, while Hammer Nutrition’s Heed is perfect for my tummy. My favorite bottles to transport my fluids are the Fuel Belt Hydration Belt and the Fuel Belt Hand Held Bottle. Eating: Focus on healthy carbohydrates and low fat, low fiber foods 60-90 mins prior to your run but remember, EVERYONE is different. Some people feel best running on an empty stomach, while others need a light snack. Get some great ideas and learn more at Runners World. For runs lasting longer than an hour, you may find your energy lagging. During a distance run, the proper fuel is essential. You won’t want to be scrambling for a bathroom while on the road because you ate the wrong thing for your needs. I have had good success with a gel or gummy such Glukos Energy Gummies and Hammer Gel (especially the Nocciola flavor!). For post-workout fuel, the recommendations include replenishing lost fluids as well as consuming protein and carbohydrates. Check out Recipe Runner’s website for some great post-run recovery food ideas. Rest: It’s just as important as work. Over-training leads to injuries and can rob you of the joy running brings. Remember to take a day off in between runs. Use that time to practice the recommendations below. Myo-fascial stimulation, release and trigger point work will help to reduce injuries, soreness and promote relaxation. Check out my article on Foam Rolling to learn more. Next learn how mobility work can bring you freedom of movement, improved performance and reduce injuries. Corrective exercise will help you to retrain under performing muscles and correct imbalances in your movement patterns that lead to injury. A flexibility practice is also vitally important. According to an excellent article from Harvard Health Publications, “stretching keeps the muscles flexible, strong, and healthy, and we need that flexibility to maintain a range of motion in the joints. Without it, the muscles shorten and become tight. Then, when you call on the muscles for activity, they are weak and unable to extend all the way. That puts you at risk for joint pain, strains, and muscle damage”. Under Armour Record, Run Keeper, My Fitness Pal, MapMyRun, are excellent apps for tracking your runs. You’ll be able to see progress and take note of how you felt during each trip out the door. 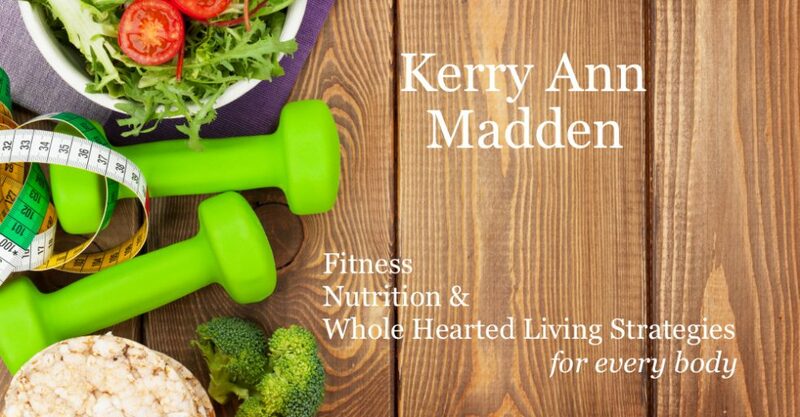 Kerry Madden is a Personal Trainer, Weight Loss Coach and Corrective Exercise Specialist with certifications from NASM, TRX, Fasical Fitness, STOTT Pilates and CFSC. She also loves to run despite her sad, failed attempt to join the track team in high school. Read that inspiring story here. Next Post Remember That New Year’s Resolution?